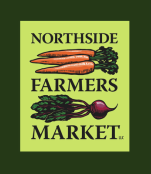 Join the Northside Farmers Market for cooking demonstrations, cooking classes, music, special events and more! 4th: Enjoy the tunes of Sean Kelly as you shop! 10th: Join us for music from Keith Howard. 17th: Live music from Dave Lindquist. 1st: Last indoor market! Enjoy the tunes of Dave "Hedgehog" Mason. 8th: First outdoor market! Find us at Hoffner Park, 4101 Hamilton Ave. Enjoy the relaxing tunes of Manuel Susarret. 15th: Soak up the beach inspired music by Better Together while you find your favorite foods. 22: Enjoy the acoustic electronic violin with Preston Charles III. ​29: Jam with Dylan Ward as he plays his guitar. We won a grant, along with CAIN and Apple Street, to help feed our neighbors. Read about it here! Ohio Magazine features the Northside Farmers Market. Read it here! Blue Oven wins award to grow. Read about it here! Farm Waker and vendor Ande Schewe reflects on years past. Read his story on page 14 in Northsider. Check out our column about local food culture in The Northsider. Chocolats Latour's nut brittle showcased here.